+ Excellent Story of pride, loyalty, extreme and graphic violence, superstition, vengeance, and ideas of redemption. Don’t let the premise of “four boys who decide to go fishing one day” lull you into thinking this is some sleepy, exotic tale; or a navel-gazing lit-fic piece. + Excellent Production Values, meaning no discernible issues that I could detect. + Classic Tale of swashbuckling heroism, clever ruses, and breath taking scenes of danger! + Bonus: The narrator looks like a young Sean Connery. Not really a consideration when evaluating the audiobook; but it certainly doesn’t hurt! – Production Values were terrible: On Sowers’ section, there were page turns, mouth noises, booth noises, at least one repeating sentence, a couple sections out of order, and overall it didn’t sound as clean as the parts narrated by David Aaron Baker or Henry Strozier. – “OK”premise for a story: A man whose ancestors founded a Canadian Island, is one of the holdouts when the government seeks to resettle the inhabitants. But, there is an emotional disconnectedness between the text and the story, and the story and the listener. The author also manages to spoil his own plot, diffusing the tensions within. The overall story seems to borrow a bit from other books I have read too, which makes it feel not altogether original. – John Lee barreled though the text; and kept mispronouncing some place names, most notably, “Newfoundland” (which should have been native to the protagonist.) Though John Lee is not a Newfie, this could have been avoided with just a little bit of research. – No inherent narrative tension: Whatever momentum the dramatic scenes carry is dissipated in the next section. – After a while, the story feels like rummaging through other people’s dirty laundry. – But neither narrators are native to Trinidad. Accents/rhythms sound forced. Despite their efforts in adding a bit of regional color, in a category where you have excellent native narrators (A Nigerian, a Scotsman, and an American each reading material set in their respective countries,) this is a minus. – Ultimately, I could not finish listening to this audiobook. Just shy of the half-way mark, I started avoiding my iPhone. For two weeks I tried to force myself to finish, but I realized that the audio experience just wasn’t working for me. I listened to a digital copy of ‘Til the Well Runs Dry (by Lauren Francis-Sharma; narrated by Ron Butler and Bahni Turpin) from Scribd.com. I receive no monies, goods (beyond the audiobooks) or services in exchange for reviewing the products and/or mentioning any of the persons or companies that are or may be implied in this post. Present-day scenes merge nicely with the flashbacks (and back again); but overall, the story is less than the sum of its parts. The novel is packed with scenes of tension, sadness, even comedy; but it fails to actually deliver tension, sadness or comedy – which leads to an emotional disconnect between the text and the story, the story and the listener. This may be in part due to the way the events are ordered within the novel – which kills the suspense; the author providing obvious hints which tips the hand as to the events about to unfold – which leeches any sort of emotional tension; and eccentricity being too self-aware to be actual humorous or even quirky. We, the Drowned (by Carsten Jensen) and The Solitude of Thomas Cave (by Georgina Harding; coincidentally narrated by John Lee as well) immediately come to mind in terms of the tie-in between land, sea, and man; and there are some stylistic points that the three books share as well which makes the novel feel familiar, but not particularly special. John Lee’s narration was rather surprisingly brisk. Over the years, the careful, sometimes overly-enunciated performances have given way to this faster approach. This can prevent the listener from getting bogged down in lit-fic prose; but it can also get in the way of the listener savoring the language, or even understanding what a scene entails. The only other note, though perhaps small beer for many listeners, is that Lee is British-American narrator who was cast to read a POV1 story about a Canadian; but there was no attempt imitate the regional accent, or even pronounce “Newfoundland” as a Newfie would. 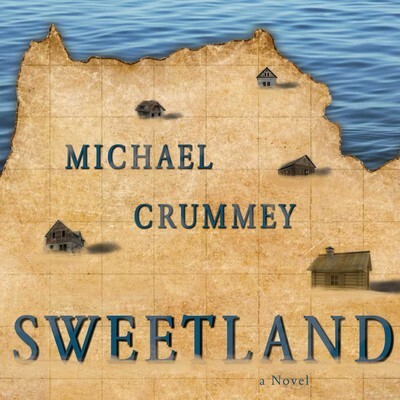 OTHER: I listened to a digital copy of Sweetland (by Michael Crummey; narrated by John Lee) from Scribd.com. I receive no monies, goods, or services in exchange for reviewing the product and/or mentioning any of the persons or companies that are or may be implied in this post. Sweetland (by Michael Crummey; narrated by John Lee) is a finalist in the 2016 APA Audie Awards in the Classics & Literary Fiction category. This American Classic is a satire which exposes the falseness of the American Old West narrative. The main body of the work is a POV1- narrative from Jack Crabbe, a Zelig-like character who lives alternately amongst white people and the Cheyenne in the 1850s-1870s, a time when the landscape of the country was changing as rapidly as the steam engines could push in and the the government could push the Native Americans out. The story begins with Snell, a mannered and intellectually pretentious man going to see the 111-year old Crabbe in a nursing home. Crabbe, in turn, begins his account when he himself was a young boy and Redskins wipe out the party of pioneers (his family included) he is traveling with. In the course of the his recounting, outrageous claims are made, i.e. Crabbe manages to witness many key events and interact with a number of notable figures of the time; but Berger balances the tongue-in-cheek narrative with keen insight into the nature of man and the events of the time to give the story plausibility, if not in the sum of its parts, and least in the individual happenings. Berger researched this time period, and using original source material such as letters and diaries, constructed this novel to debunk the myth of the era, and to a certain extent he succeeded by incorporating the elements of avarice, filth, and moral equivocation that prevailed. On the other hand, rather than tarnish, the acuteness of the author’s barbs lends a sort of patina to the story by making it more realistic. Analogously, it would be like taking down a statue to discover there are cracks in the base; but nonetheless, the statue is still strong enough to stand. The narrators were spot-on: David Aaron Baker starts the audiobook off as the effete and gullible interviewer Ralph Fielding Snell; Scott Sowers nails it as Jack Crabbe, undereducated but sharp, performing with a “cowboy” accent throughout his section; And finally, Henry Strozier caps the audiobook with a reading of Larry McMurty’s short essay, a laudatory missive read warmly and convincingly as if McMurty were reading it himself. BUT, and this is a big “but” the production values were terrible: On Sowers’ section, there were page turns, mouth noises, booth noises, at least one repeating sentence, a couple sections out of order, and overall it didn’t sound as clean as the parts narrated by David Aaron Baker or Henry Strozier. narrated by David Aaron Baker and Scott Sowers; with an Essay by Larry McMurty narrated by Henry Strozier) from Downpour.com. I receive no monies, goods (beyond the audiobook) or services in exchange for reviewing the product and/or mentioning any of the persons or companies that are or may be implied in this post. 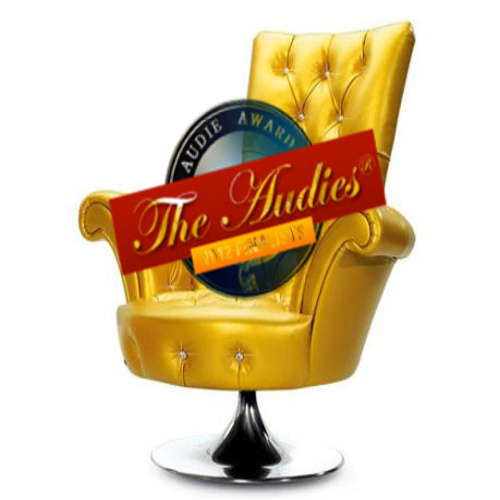 Little Big Man (by Thomas Berger; narrated by David Aaron Baker and Scott Sowers; with an Essay by Larry McMurty narrated by Henry Strozier) is a finalist in the 2016 APA Audie Awards in the Classics & Literary Fiction category.